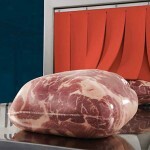 Flavorseal meat and poultry shrink bags are suitable for both domestic and export distribution. Additionally, our shrink bags are Kosher for Passover year-round. As one of our strategic partners, we will work with you to evaluate your current packaging usages and provide order flexibility to meet your inventory and shipment needs. We follow that with in-plant technical support and consultation to ensure that the packaging runs at maximum efficiency. For bone-in cuts like loins and ribs, Flavorseal’s Heavy Gauge Meat Shrink Bags come in a range of standard sizes suitable for bone-in cuts in a slaughter facility. 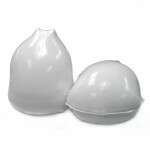 Flavorseal High Shrink Bags for meat packaging come in a range of standard sizes suitable for boneless cuts in a slaughter facility. From large whole birds to boneless parts, Flavorseal’s Poultry Shrink Bags can meet all of your poultry packaging needs in your slaughter facility. 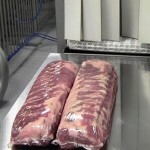 Learn more about our Shrink Packaging Equipment for slaughter facilities.